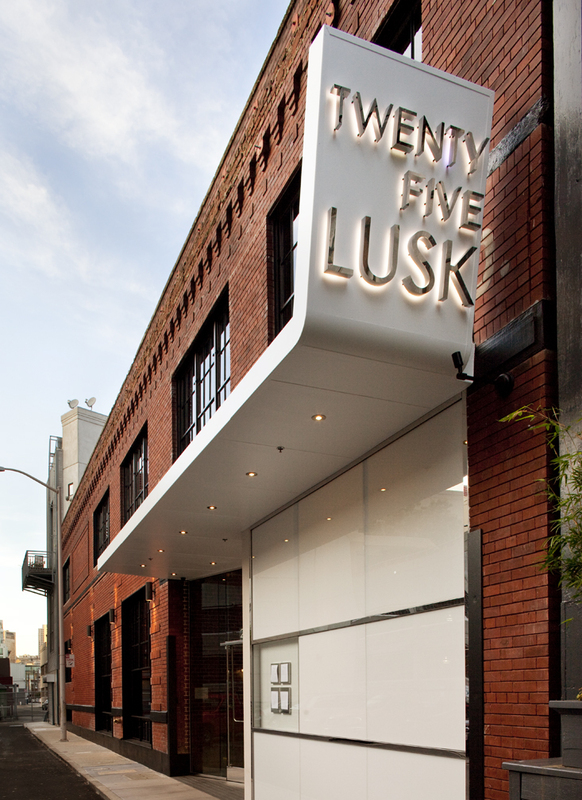 Lusk is a restaurant and bar located in San Francisco’s SOMA district. 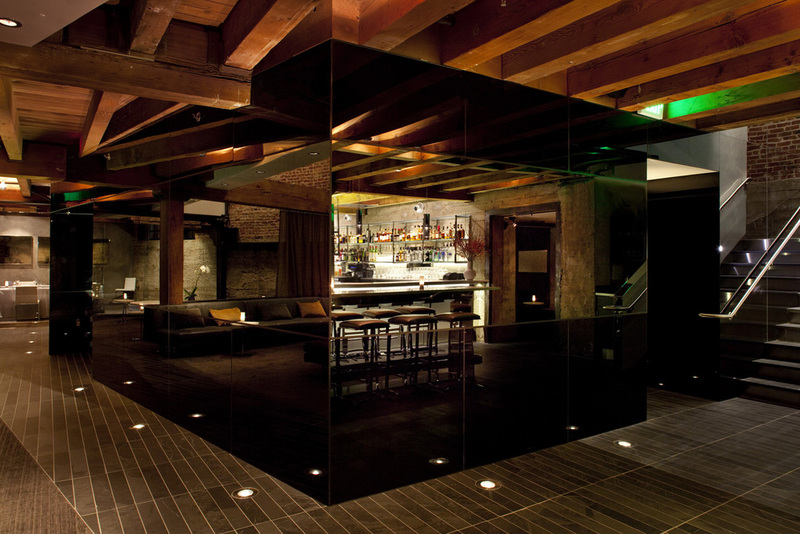 The restaurant highlights the cuisine of Chef Matthew Dolan and has become a mainstay in the San Francisco dining scene since it opened in 2010. 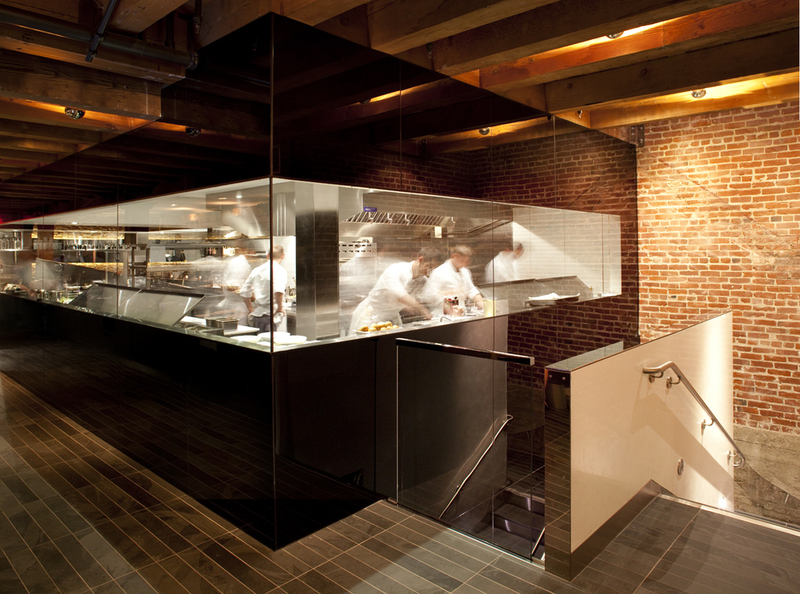 The dining room and lounge are connected through a dramatic two story opening and the exhibition kitchen is moodily shrouded in translucent bronze glass, evoking the 19th Century buildings original use as a smokehouse. Stainless steel fireplaces create casual gathering places in the basement lounge, and the fireplace flues soar through the two story space as sculptural counterpoints to the old brick and timber construction.